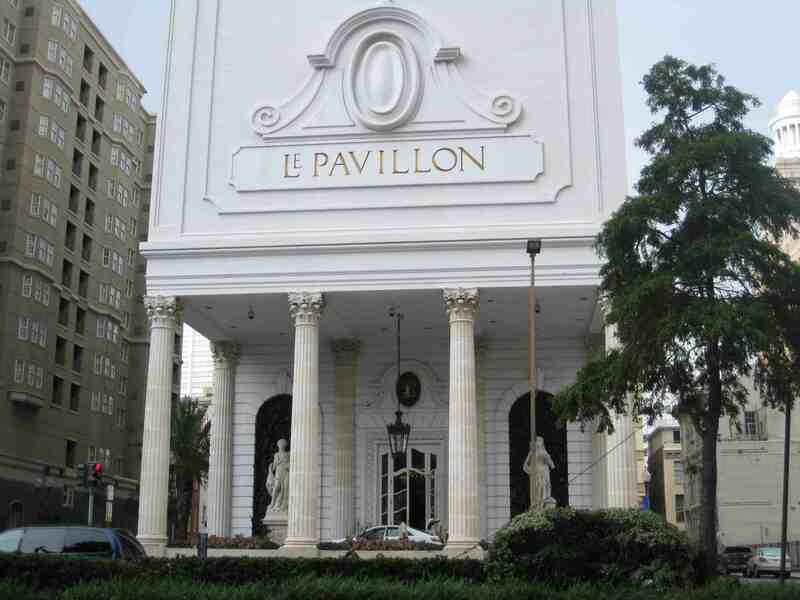 NEW ORLEANS – A woman is suing Le Pavillon Hotel after slipping and falling in a puddle. Joyce Pritchard filed suit against Le Pavillon Hotel, An Ordinary Partnership, John Mecon, Jr, Katsy Mullendore, Gerald E. Senner, American Financial Group Inc. and Great American Insurance Company in the Orleans Parish Civil District Court on Jan. 27. Pritchard alleges she slipped in a puddle of water on the floor of the hotel located at 833 Poydras Street in New Orleans on April 29, 2013. She claims she injured her back, neck, shoulder and extremities resulting in pain, physical suffering and anguish and medical expenses. The puddle was the result of a condition knowingly created by an employee who did not properly handle a wet raincoat, the suit claims. The defendants are accused of creating an unreasonable risk of harm, which was foreseeable, had actual knowledge of this condition in that they created it, breached duty to keep premises of their establishment clean, safe and free from substances and conditions that may cause a customer to fall, and failed to exercise reasonable care under the circumstances. The plaintiff is represented by Fitzgerald & Brown LLC and Jonathan P. Friedman. Le Pavillion answered the suit on March 19, claiming Pritchard was at fault for failing to have due regard for her own safety, to watch where she was going, to see what she should have seen, and intoxication. GAIC represented by George J. Richad of Young Richad & Meyers LLC. Case is assigned to Division J Judge Paula A. Brown.